One of the most versatile and original violinists of his generation, Thomas Gould has forged an unusually varied career that encompasses directing, leading, playing concertos, chamber and new music, and also working in jazz and other non-classical genres. This will be his second performance with the RTWSO, following a successful debut in 2015 in which he played Haydn’s Concerto in C major and Arvo Pärt’s Fratres. 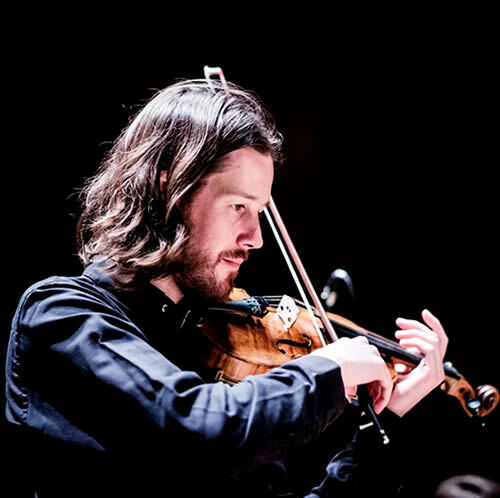 As concerto soloist Thomas has performed with orchestras internationally including the LA Phil New Music Group, Orchestra of St. Luke’s, West Australian Symphony Orchestra, and in the UK, the Royal Philharmonic Orchestra, BBC Symphony Orchestra, BBC National Orchestra of Wales, Hallé, City of Birmingham Symphony Orchestra and Royal Scottish National Orchestra. As well as the mainstream concerto repertoire, Gould has become known as an interpreter of new music, including solo works by Hans Abrahamsen, Thomas Adès, James MacMillan, Nico Muhly and Max Richter.